Home › Balloon Sinuplasty › Balloon Sinuplasty – or Another Round of Antibiotics? 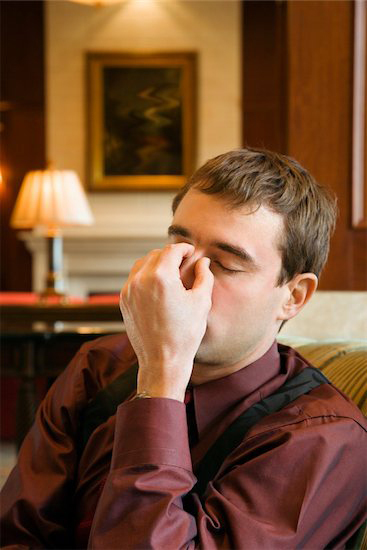 Every year, 30 million Americans and more are troubled by chronic sinusitis, which is a medical condition afflicting the sinus cavity and nasal passages, and which can cause aggravating symptoms for months, if treatment is either ineffective or not attempted. For many of those bothered by chronic sinusitis, a program of antibiotics can help a great deal to alleviate the symptoms, but even that is not always effective. When more serious measures are needed, balloon sinuplasty is one alternative, and it is performed on an outpatient basis by otolaryngologists, who are physicians skilled in the treatment of ear, nose, and throat conditions. Before sinuplasty would be recommended, it is usually necessary for a patient to have gone through 12 weeks or more of chronic sinusitis without responding positively to treatment. Another scenario where balloon sinuplasty would be indicated is when a patient has four or more sinus infections in any given 12-month period. A physician can generally confirm the presence of chronic sinusitis through an examination of the inside of your nose, or by feeling for tenderness in the area of the nose or face. If more confirmation is needed, tests such as sinus cultures or nasal cultures can be analyzed in a laboratory setting, and imaging studies like an MRI or CT scan can provide much more information about the presence of chronic sinusitis. Before making a diagnosis, your physician will probably want to interview you about your family’s medical history, as well as the types of treatments you have undergone in the past, and how long you have undergone those treatments. It is more likely that balloon sinuplasty will be recommended by your physician if you have experienced some of the above systems over a prolonged period, and the symptoms have not been significantly remediated by any of the treatments you’ve undergone. Before balloon sinuplasty is recommended, other measures such as antibiotics, nasal irrigation, and corticosteroids may be tried first, in order to try and achieve a solution through medicine. If these types of treatments are largely ineffective, that is when a physician is much more likely to recommend balloon sinuplasty. Balloon sinuplasty is considered extremely effective, even though it has only been an FDA-approved medical procedure since 2005. During that time, it has helped an overwhelming majority of patients who have undergone the procedure, and the effects of the procedure are considered relatively long-term. Studies which have been conducted on patients receiving the procedure have universally reported that symptoms have been improved for virtually all patients up to a year after the procedure has been performed, with no unanticipated side effects. Virtually all patients who undergo the procedure have reported more open nasal passages than before the surgery. In addition, the surgical procedure is so non-invasive that it has allowed mucous membranes, nasal tissues, and overall nasal structure to remain completely intact, with no physical loss being experienced by patients. A 2017 study which was conducted on pediatric patients undergoing balloon sinuplasty showed that 94% of the cases dramatically cleared up the symptoms being experienced by the patients and that one year later the improvements realized were still in effect. To further emphasize the success of balloon sinuplasty, information on patients who participated in studies from 2013 through 2017 show that most of them experienced significant relief in less than a week following the surgical procedure. How Safe is Balloon Sinuplasty? This surgical procedure is considered extremely safe and extremely effective, and because of that, it has become one of the most commonly performed surgical procedures in medicine, as it relates to sinus surgery. The popularity of the procedure, of course, is directly related to its tremendous rate of success, and low risk of any kind of complications. When balloon sinuplasty is performed on a chronic sinusitis patient, the patient can expect the very little risk of bleeding, reduced risk of any kind of postoperative infection, a reduced risk of physical damage, a reduced need for any kind of stitches or sutures, and a lower need for post-operative medications to manage pain. The procedure itself requires less time than any other sinus surgery, it can be done on an outpatient basis, and the recovery time is much faster than anything else. From almost any standpoint that you consider balloon sinuplasty, it is the most effective way of treating chronic sinusitis which is available to medicine today, especially in situations where a sinusitis patient has not responded to other forms of treatment.